The follow up to my post of this Downtown NY unit's eponymous debut E.P. 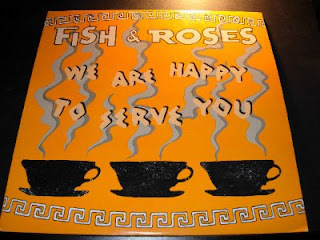 and their Friar Tuck 7", We Are Here To Serve You finds Fish & Roses at the peak of their peculiar powers, here locating their trademark nagging tension from the friction of Sue Garner's homespun-as-a-homily vocal stylizations and the nimbly askew Etron Fou-like R.I.O. grooves she conversely helps ex-V-Effect drummer Rick Brown enact (traits she shares with Amy Denio), over which organist David Sutter plies a line in low-key lopsided whimsy with the odd side of atonal wheeze 'n' wobble. Garner would soon venture into tamer pastures on a spate of solo albums that Homestead issued in the wake of this, but the work at hand here is anything but and a real delight for anyone into this suaver dimension of R.I.O. praxis. 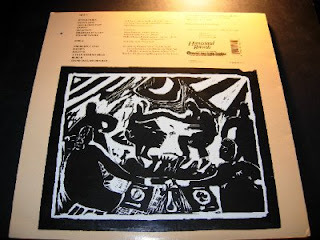 Great Post and many thanks to introduce me to this great artists, love the drums and the repetitive keybord sound on "emergency track". Once more HOLY mutant sounds.